Lightweight and durable, solo backpacking tents are ideal for the seasoned backpacker who enjoys spending time in the great outdoors alone. 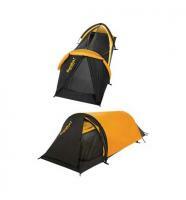 These top-quality tent options are available from brands ranging from Alps to Eureka. They come with features like rain flies, vestibules and mosquito netting, ensuring that your camping exploration is a comfortable one. Every solo tent we sell comes with a 100% money-back guarantee, so you can be confident you'll get the right tent for your needs. Bought this tent several yrs. ago & am well pleased with it. 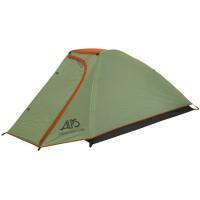 Great for back country hiking, lightweight, & is easy to set-up. Opens on either side. 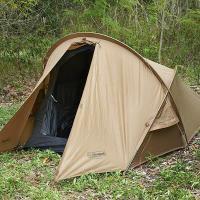 Great one-man tent. 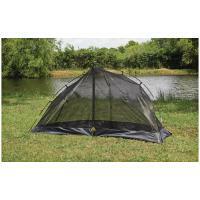 This is a great one man tent. 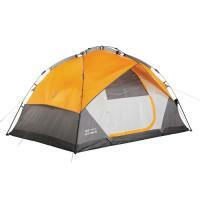 I love the fact that someone over 6ft can actually fit in this tent. 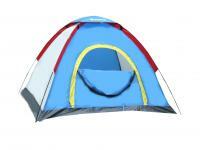 Most tents are just way too short to fit someone over 6ft. So that fact alone makes it a great tent in my opinion. 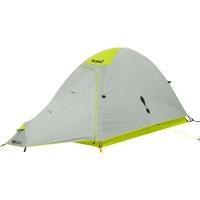 It seems to be a very well made tent with good components. The only thing I don't really like is that the vestibule is very small. You can only get a pair of boots under cover. I gave the tent 4 stars only because of the small vestibule. I would definitely buy this tent again. It is a great tent for the money. 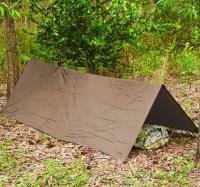 This is a pretty solid cot and the tent is durable as well. I set it up and over a foot of snow fell on it before the roof caved in. When the roof gave, none of the parts that held it up broke so I was able to set it up again and it works fine. 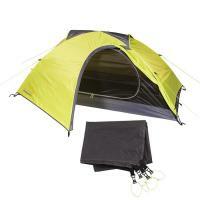 Very durable for what I just put it through and I would definitely trust it for car camping. 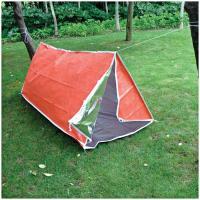 I purchased this tent for cycle camping and backpacking. It's light and compact, and inexpensive. The front entrance and large vestibule allow plenty of room for either my panniers or backpack. At 5'4", I have plenty of room to sit up and even move around a bit. It is great and surprisingly roomy and comfortable! It is a little heavy for a woman but a great concept!